Oct 23 Could England's Duds Help Winning Ashes Effort? England made a number of curious selections in their Ashes squad for their series against Australia, which begins in November. 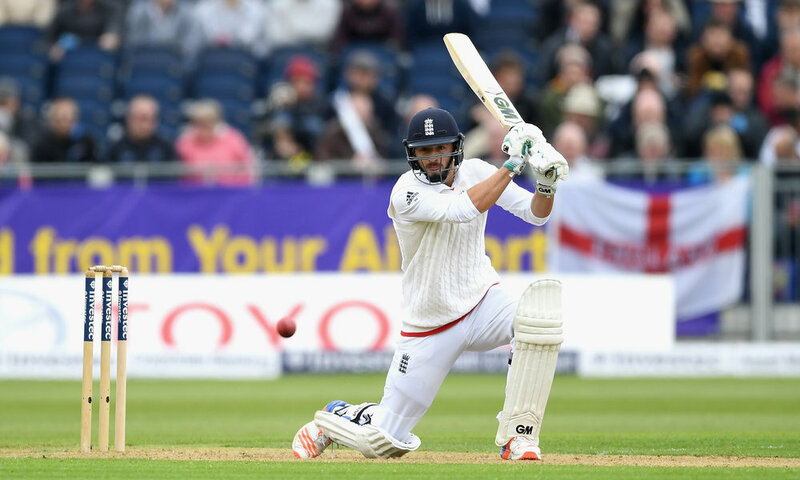 The Three Lions handed recalls to batsmen James Vince and Gary Ballance, while Craig Overton and Steven Finn were placed in the squad ahead of Mark Wood. Joe Root's men performed well in the summer to defeat to South Africa and the West Indies on home soil. They managed to overcome their suspect performances with the bat to secure wins in both series in comfortable fashion, but will need to improve to defeat the Aussies down under. England are backed in the latest cricket betting odds at 3/1 to win the series, odds that have been lengthened by Ben Stokes' off-the-field behaviour, leaving his side potentially without one of their key men. As a result, the Three Lions are in need of even stronger performances from their established players. However, standout displays from the players that have been recalled into the side would be a major boost for the team, especially in the middle order. Tom Westley was given the entire summer to prove his worth for the tour, but after a spell in the side against South Africa and the West Indies he was discarded for the winter. There was common belief that the Three Lions would attempt to fill his absence with new players. However, the selectors made the surprising decision to recall Vince and Ballance into the fold for the Ashes, despite their struggles during their respective Test careers. Ballance is now likely to embark on his fourth run in the side, having failed to lock down his place in the team. He had great difficulty against the pace of the South African seamers during the summer before a broken finger ended his series, paving the way for Westley to start. The Three Lions have gone back to Ballance once again, despite a number of perceived technical issues. The 27-year-old has a bright start to his Test career, scoring four centuries in his first 16 months in the side. However, since May 2015, he has made only two half-centuries in 25 Test innings, including a run of failing to pass 50 in his last 11 knocks. Ballance has talent and boasts a strong first-class record with Yorkshire, but has not been able to adapt his game to the Test arena. He has continued to suffer the same problems he had at the start of his career, in being trapped on the crease or bowled with a tight line on his off stump. Australia exposed that flaw in the 2015 Ashes, much as Alastair Cook has been troubled by the same line in the past. Cook was struggling before his tour of 2010/11 Down Under, but his outstanding series were the making of him as a world-class batsman. The 27-year-old could rise to the occasion as he has the dogged determination, but he must take his chance in the middle order. Vince's selection was even more baffling as he didn't make a half-century in his 11 test innings. The 26-year-old has had problems at county level for Hampshire this season, scoring only 596 championship runs at an average of 34. His dismissal for England were like groundhog day as he wafted constantly outside his off stump, either being caught in the slips or in the covers. Nine of his 11 dismissals were out caught, while he averaged just 19 with the bat in his seven matches. The selectors have faith that he can rise to the occasion on flatter pitches in Australia. He has talent as a stroke-maker and there could be an Ian Bell-like breakthrough from the 2013 Ashes when he scored 562 runs to guide England to a win. The Three Lions have backed theses players to shine and there can be no excuses for the duo not to succeed in Australia.